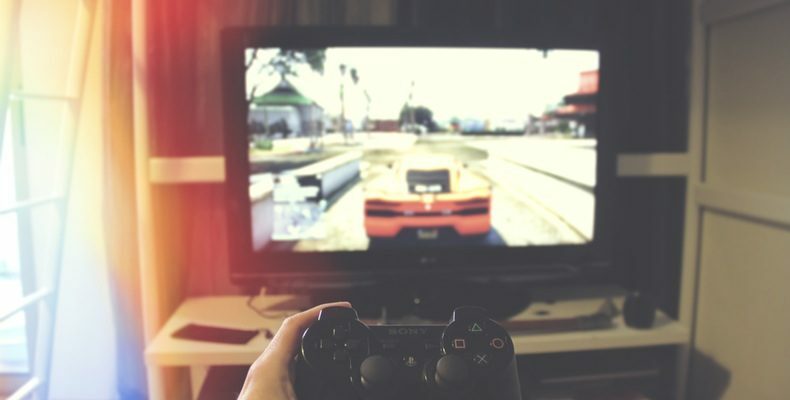 Gaming is one of the most popular hobbies. A study in 2013 showed that over 1.2 billion people play games worldwide– almost 44% of the world’s internet population! It’s also an activity that grows each year. Developers are finding ways to appeal to new markets with unique and exciting games. Also, new pieces of gaming technology are always coming out to enhance people’s gaming experience. With new, innovative devices comes new ways to play and enjoy games. From touchscreen to virtual reality, more and more people are finding an interesting route into gaming. It isn’t just gaming devices that have upped their technology game. Gaming equipment is also becoming more innovative. There’s never been a more exciting time to become a gamer. It’s a hobby that anyone can do in their free time, and there’s plenty of ways to enjoy it. Here’s some of the most exciting and innovative new tech for gamers to enjoy. Virtual reality seems set to become the next big technological trend in gaming. The recently released PlayStation VR allows people to get more immersed in games than ever. Microsoft is also working on VR features for the Xbox One, which they claim will be more powerful than Sony’s. It isn’t just the main consoles which are getting the VR treatment, though. The Oculus Rift headset allows you to immerse yourself in virtual reality PC games. It features an OLED display and integrated 3D audio effects. It can be used for any game, although some have special VR features. Oculus are also soon releasing special controllers to add to the virtual reality experience. HTC are also putting a foot into the virtual reality gaming world with their Vive technology. It features accurate motion-tracking and handheld controllers to truly immerse yourself in the games. Many games are starting to implement VR capabilities. These make for some incredible virtual reality gaming experiences. You can also find VR headsets for smartphones. You can use these with unique VR smartphone apps which let you play games and watch movies in an innovative way. Most modern console gamers will need to make a choice between the PlayStation 4 and Xbox One. Both of them boast exciting modern tech features for a great gaming experience. The choice often comes down to personal preference. Both allow you to stream games online or project them to your PC. They also allow you to download games from their past models. Those who want to play some PlayStation and PS2 classics will be better off with the PS4. Those who prefer Xbox exclusives such as Halo will get more out of a Xbox One. While both offer HD playback, Xbox’s new Xbox One S Slim model offers 4K Ultra-HD playback. It makes for an incredible visual experience and can be used for movies as well as games. Xbox One also has popular Kinect features. These allow you to play unique games using nothing but your body. You can also control your console and TV without any remotes. The PS4 is currently outselling Xbox One, almost doubling their sales figures. That’s largely thanks to their cheaper online gaming subscription and user-friendly features. Nonetheless, both feature excellent technological features and extensive games libraries. Gaming chairs are designed for more than just comfort. Although they’ll keep you comfy while you play, they can also immerse you in the gaming experience. That’s thanks to many new technological features in high-tech gaming chairs. Many chairs contain features such as vibration and surround sound. It can help create the feeling that you’re in the game! It’s worth investing in one of these for anyone who enjoys gaming. You may want to read X Rocker gaming chair reviews and other online reviews to find one. You can get excellent gaming chairs for both console and PC gaming. Computer chairs are more adjustable and offer great comfort. Console chairs put you closer to the ground, giving you a good look at your TV. Both often include exciting tech features. Although console and PC gaming offers the most technologically advanced games, some people prefer to game on the go. Handheld gaming devices are fantastic pieces of tech for those who travel a lot or just like to sit with a game in their hands. The Nintendo 3DS is the most popular handheld gaming device. It offers 3D technology, giving an extra depth to the gaming visuals. With Pokémon Sun and Moon coming out in a few weeks, you can expect many handheld gamers to be getting online with the 3DS. Although it suffers from low sales figures, the PS Vita is also an interesting piece of technology. It has much more advanced technology than the 3DS. Its greater processing power and graphical capabilities make for a fantastic portable gaming experience. There’s also many Android gaming handhelds. These are capable of handling all of the same apps used on other Android devices. The controller features allow for much better portable gaming. You can also download emulators for old gaming consoles, allowing for a retro-gaming experience. Smartphones are developing more year-by-year. Samsung’s latest Galaxy S7 model packs a Quad HD display, a powerful processor, and a massive 4GB of RAM. The iPhone 7 also has an amazing display and great running power. These devices are more capable than ever of playing some exciting and innovative games. The touchscreen features of smartphones have always made for great mobile gaming. Games like Angry Birds and Candy Crush became favorites for all kinds of consumers. Games of this nature are perfect for playing in small spurts when you have a bit of downtime. Online gaming is also becoming popular on smartphones. Games like Clash of Clans have people building armies and facing off against their friends. There are also games like Words With Friends for people to casually compete with one another. Augmented reality is also a growing trend in smartphone gaming, with games like Pokémon GO becoming world favorites. The impressive thing about smartphone games is how many people they can appeal to. No matter what you’re interested in, there’s most likely a smartphone game that’ll catch your interest. Everyone should pack their phones with some of the best smartphone games.